Two techniques are commonly used in EFTEM to map elemental distribution: 2-window ratio mapping and 3-window elemental mapping. 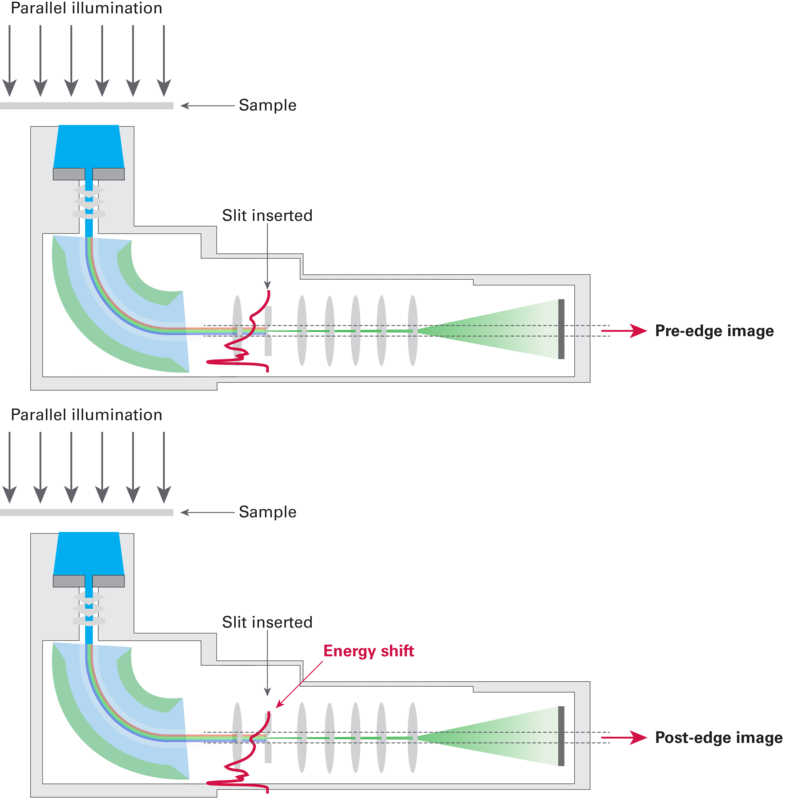 The jump-ratio approach requires two energy-filtered images, one you position just before the ionization edge (pre-edge) and one you position just after the edge (post-edge). 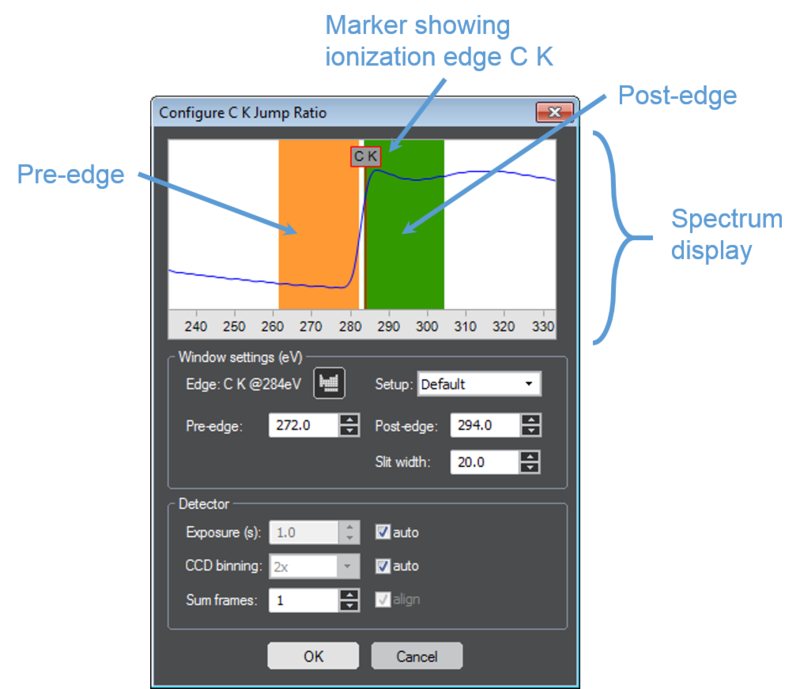 In the jump-ratio approach the post-edge image is divided by the corresponding pre-edge image to produce a map that is indicative of the distribution of the element you select. When you create a jump-ratio map, first insert the slit and focus the image at an energy loss (typically 400 eV and 50 eV slit) before acquiring a pre-edge image. Acquire the pre-edge image, and then shift the energy to after the edge to acquire the post-edge image. To calculate the ratio, divide the post- by the pre-edge image value.